Add a warming and welcoming style to your home by introducing this gorgeous Set Of Stylish Bookends. 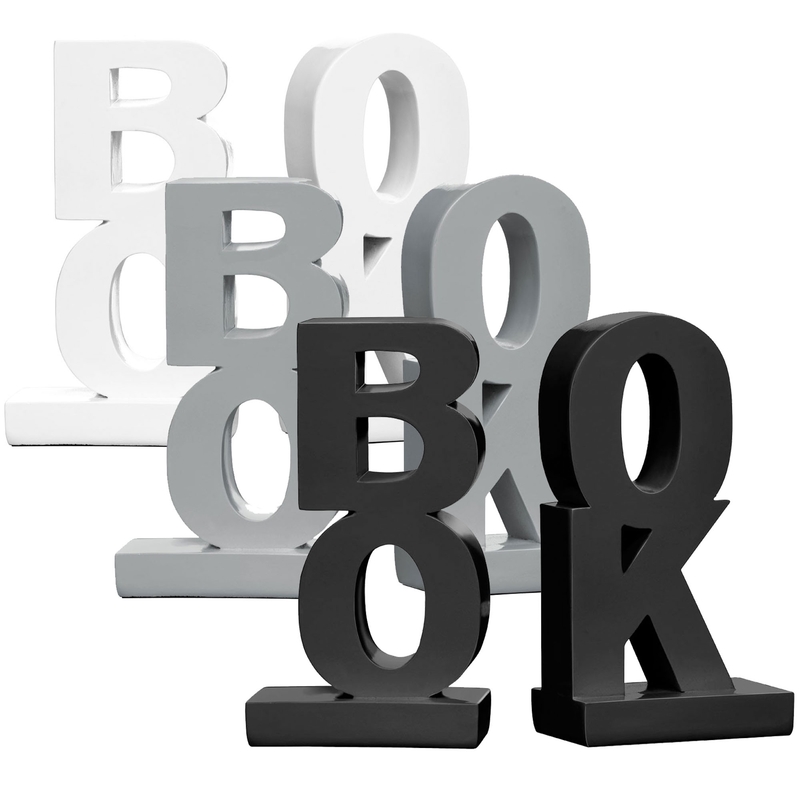 These bookends have a gorgeous design which contain very clear letters that spell out the word "Book" in a very abstract way. These bookends are created from polyresin and is given a choice of colours to make sure it fits perfectly in any home.